Dr. Wilkins has been involved in the biotechnology industry on a technical and managerial level for over 25 years. He was Vice President of Process Development and Manufacturing at Alexion Pharmaceuticals (ALXN) and oversaw development of its current blockbuster monoclonal antibody drug. Jim was Director of Technology Assessment and Process Development at Genentech until 2009 and was CMC team leader for second generation Anti CD-20 antibody development and manufacturing. He joined Sensorin in 2009 as Chief Technology Officer, where he developed sensors to monitor Biotechnology production processes. 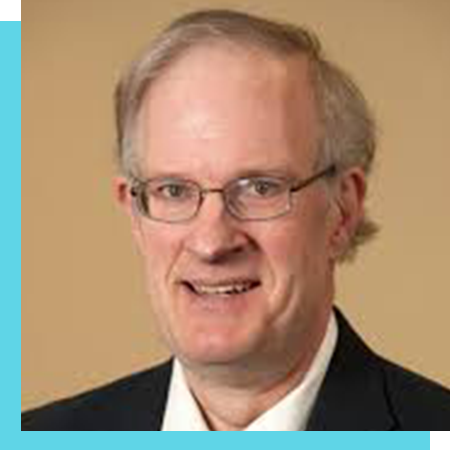 Jim also served as research professor and lecturer in Chemical Engineering at Yale and is currently a research chemist in the Department of Pharmaceutical Chemistry at UCSF. He earned his B.A. at University of Texas at Austin; his Ph.D. at University of Tennessee; and was a post-doctoral fellow in the Jenkins Department of Biophysics at the Johns Hopkins University. Dr. Jain was advisor for vaccine development at the PATH Malaria Vaccine Initiative (MVI). His focus was on CMC activities related to malaria transmission-blocking vaccine approaches. He also served as technical lead for process development and GMP manufacturing of recombinant protein vaccines as well as for the MVI-supported Vaccine Formulation Center. 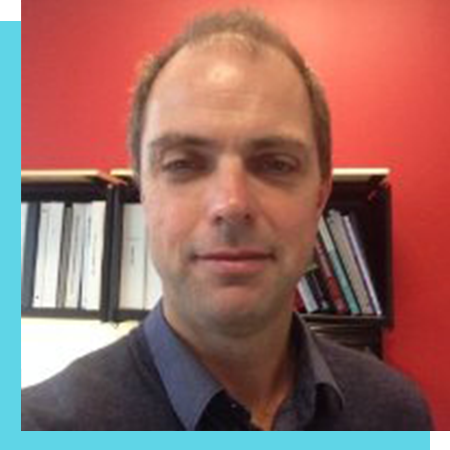 He has more than 20 years of experience in process development and scale-up for GMP production of protein therapeutics and human vaccines using variety of production expression systems including yeast. Dr. Jain has supported several IND applications and a BLA for FDA approval of recombinant protein products. He has worked for several biopharmaceutical companies, including Astra-Zeneca, Shire Biologics (now GSK) and Cephalon. He received his Ph.D. in Microbiology from Paul Sabatier University in Toulouse, France. Dr. Cregg earned his PhD in biology from Rice University in Houston, TX in 1978 and was a postdoctoral fellow at Scripps Clinic and Research Foundation in La Jolla, CA from 1978 to 1980. Previous appointments have been with BRL/Life Technologies in Gaithersburg, MD (1980–1983), the Salk Institute Biotechnology Industrial Associates in San Diego, CA (1983–1989), and the Oregon Graduate Institute in Beaverton, OR (1989–1999). In 1988, Dr. Cregg also spent a year on sabbatical in the Netherlands at the State University in Groningen. Dr. Cregg was one of the founding Professors at Keck Graduate Institute (KGI) and has continued his research on the development and use of yeast, Pichia pastoris, as a system for the production of recombinant proteins, for which he is internationally known. He has also helped found two biotechnology companies, Alder Biopharmaceuticals and BioGrammatics. His work has majorly impacted the development of pharmaceutical proteins such as a chimeric monoclonal antibody, which works against rheumatoid arthritis and certain cancers, research he did in collaboration with Alder. BioGrammatics is a company that specializes in expressing various genes in Pichia pastoris for their contract partners. He has over 100 published papers and holds 14 patents in this area. Dr. Cregg has been invited to give keynote addresses at numerous meetings and serves as a reviewer or executive editor on five peer-reviewed journals in the biotechnology field. 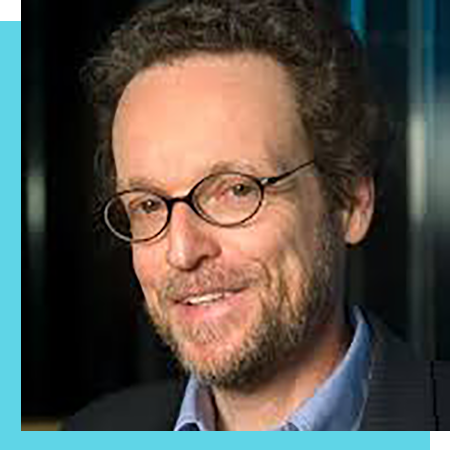 Having earned his PhD in philosophy from Harvard, Thomas Pogge is the Leitner Professor of Philosophy and International Affairs and Director of the Global Justice Program at Yale. Broadly devoted to moral and political philosophy and Immanuel Kant, his work has increasingly focused on real-world issues related to justice, poverty and health. On these themes, he has led several major research collaborations (funded by the European Commission, the Australian Research Council and the BUPA Foundation). Pogge’s recent publications include Politics as Usual (Polity 2010); World Poverty and Human Rights (Polity 2008), John Rawls: His Life and Theory of Justice (Oxford 2007); and Freedom from Poverty as a Human Right (Oxford & UNESCO 2007). Besides being President of Incentives for Global Health, Pogge also serves as President of Academics Stand Against Poverty (ASAP), an international network aiming to enhance the impact of scholars, teachers and students on global poverty (www.academicsstand.org), and chairs the International Bar Association’s Human Rights Institute (IBAHRI) Taskforce on Illicit Financial Flows, Poverty and Human Rights. Pogge holds secondary appointments at King’s College London and at the Universities of Oslo, Sydney and Central Lancashire. He has held visiting appointments at Harvard, Oslo and Princeton Universities as well as at the Princeton Center for Advanced Studies, All Souls College Oxford and the National Institutes of Health. He has received honorary doctorates from the Universities of Helsinki, Bucharest and Connecticut and is a member of the Norwegian Academy of Science. Dr. Cooper is a Professor of Pediatrics at the Boston University School of Medicine, in the Division of Pediatric Infectious Diseases at Boston Medical Center. Dr. Cooper is the Medical Director of the Pediatric AIDS Program at Boston Medical Center which she founded in 1987. She organized and now also directs the Adolescent HIV Program, which cares for perinatally infected children who have reached adolescence, as well as adolescents who have acquired the infection through risky behaviors . More recently she has developed a Transition Clinic in collaboration with her Infectious Disease and Internal Medicine colleagues, and is incorporating an innovative model of transitional care, which is receiving national and international attention. Dr. Cooper has published papers on pediatric HIV infection, antiretroviral therapy and medical management of the HIV infected child. She participates in research projects funded by the National Institutes of Health (NIAID), and the Centers of Disease Control and Prevention. Her Service related programs have received funding from a wide variety of agencies including HRSA and NICHD. She also has a longstanding interest in the treatment and prevention of respiratory infections during infancy, with special attention to premature babies. 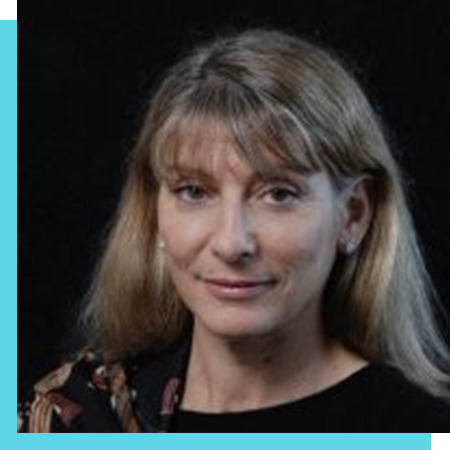 She has a longstanding collaboration with the pharmaceutical industry, and has participated in numerous clinical trials which have been industry funded, related to both treatment of HIV and treatment and prevention of respiratory viruses in high risk infants and children. For more than a decade, Dr. Cooper has been active in the international effort to bring access to antiretroviral care and treatment to resource constrained regions of the world, and has participated with the MTCT-Plus and PEPFAR Initiatives as an advisor and trainer, and on site mentor. She has worked in sites in Uganda, Cameroon, South Africa and Zambia, and in Ethiopia. In addition, she has served as site mentor/technical advisor to the Global AIDS Program, Zambia in order to establish a Center of Excellence for the care of HIV Infected Children. She has lectured worldwide and has served on the Committee of Pediatric AIDS for the American Academy of Pediatrics. Vern Norviel is a partner at Wilson Sonsini Goodrich & Rosati, where he leads the patents and innovation counseling practice. Vern has three decades of experience in formulating successful strategies for life science companies and the development of their IP programs. He represents a wide variety of companies, as well as venture capital firms, in areas such as therapeutics, diagnostics, nanotechnology, genomics, proteomics, and personalized medicine. In fact, Vern's interest in the field of personalized medicine prompted him to become the first attorney to have had his or her entire genome sequenced and made available in a public database. Before joining WSGR in 2003, Vern was the general counsel and corporate secretary of Perlegen Sciences, Inc., a start-up biotechnology company that scans the entire human genome for important therapeutic and diagnostic products. Previously, as senior vice president and general counsel, he was an early employee of Affymetrix, the biotechnology company that pioneered and developed DNA chip technology. He also had been a partner at Townsend and Townsend and Crew in Palo Alto. Vern currently serves as a member of Wilson Sonsini Goodrich & Rosati's Compensation Committee and on the board of the WSGR Foundation, and previously served as a member of the Policy Committee. In addition, he is a lecturer in biotechnology law at UC Berkeley School of Law. Charlie has also drafted and prosecuted patents covering three FDA approved drugs. He represented a client at a U.S. Senate HELP Committee full hearing on electronic health records and was part of a team that defended a generic pharmaceutical manufacturer in an Actavis reverse payment enquiry at the Federal Trade Commission. In addition, Charlie has authored and reviewed numerous freedom-to-operate, invalidity, and non-infringement opinions, including opinions supporting Paragraph IV certification for ANDA filers under the Hatch-Waxman Act. He has advised companies on the use of post-grant U.S. Patent and Trademark Office proceedings to achieve IP goals. Prior to becoming a patent professional, Charlie spent a decade as a medicinal chemist and early-phase project co-chair at Bristol-Myers Squibb Company, where he won a Presidential Award, among other accolades. He holds Regulatory Affairs Certification (RAC) from the Regulatory Affairs Professionals Society. Dr. Gillies has been in the Pharma/Biotech industry as well as academia carrying out research and development for more than 20 years with increasing levels of responsibility. He has led numerous drug development teams for both Pfizer and Gilead Sciences leading to successful regulatory filings with experience in the cardiovascular, respiratory, sexual health and liver disease areas. Hunter currently also serves as the CMO on the management team of Cortene Inc. and is responsible for the development of CT38 for ME/CFS. He has a number of peer reviewed publications in the areas of cardiopulmonary disease, endothelial dysfunction and exercise physiology. His current interest is in the pandemic of cardiometabolic diseases and insulin resistance. Hunter received his MSc. and M.B. Ch.B. from the University of Cape Town, South Africa and his Diploma in Sports & Exercise Medicine from Queen Mary University London, UK. Dr. Carolyn R. Kahn, also known as Carrie, founded Sensor Innovations, Inc. (DBA Sensorin), an analytical tools company, in 2007 and served as its Chief Executive Officer and President through 2016. She founded and served as the Chief Executive Officer at Hepaticus, Inc., a biotech company, from 2002-2005. Dr. Kahn served as Managing Director, BioScience at Connecticut Innovations, Inc. from 1998-2002 where she made venture investments in emerging companies, served on their boards and managed a $60 million real estate investment fund for biotech and pharmaceutical companies. From 1990-1993, she established the In Vitro Alternatives Laboratory for the Gillette Corporation and developed a patented model of the human cornea. During her 35+ year career she has been involved in and helped steer a variety of grass roots organization and emerging biotechnology companies. She has taught courses at the University of the Pacific Dental School, San Francisco State University and Berkeley. She previously founded two non-profit foundations for the benefit of children and served on the Boards of the American Liver Foundation and CARE, a San Francisco non-profit. She earned a Bachelor's degree in Cellular and Developmental Biology from Johns Hopkins University and a Ph.D. in Developmental Neurobiology from the Johns Hopkins School of Medicine. Dr. Kahn pursued post-doctoral studies at Cornell University School of Medicine, followed by a fellowship in Clinical Immunology at Johns Hopkins School of Medicine. She was later named visiting scholar in the Neurology Department at Stanford University School of Medicine. Linda brings over 30 years of operational, financial, and capital markets experience in life sciences, software and investment banking. A partner of FLG Partners, Linda’s consulting CFO roles have included ArmaGen, EpiBiome, iPierian (acquired by BMS), Kezar, Retrotope, True North (subsequently acquired by Bioverativ) and Tunitas. Linda has also served as CFO or run finance and administration at public and private companies including PaxVax, Ingenuity Systems (acquired by QIAGEN), Solexa (acquired by Illumina) and ChemoCentryx. Linda was previously an investment banker, including roles of increasing seniority at Merrill Lynch Capital Markets, Scully Brothers Foss & Wight and culminating as Senior Vice President of Lehman Brothers’ Healthcare Investment Banking Group. Board roles have included Sensorin, JVS and Impact Bay Area. Linda holds BA and MA degrees in Economics from UCLA.